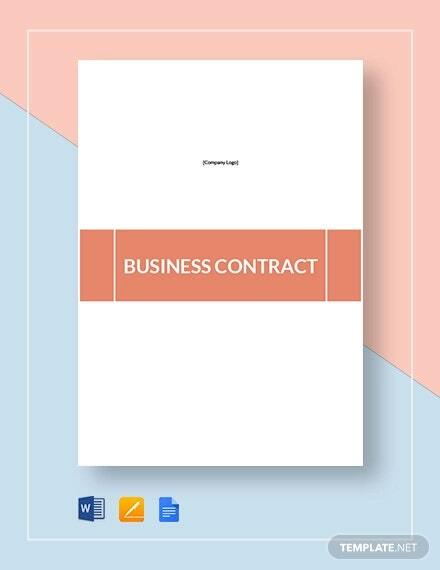 Business entities and companies can never transact with one another in legal terms without the creation of a business contract. These contracts, which are created out of a series of formal discussions and deliberation, compel each party to perform and deliver what is expected from them. Otherwise, the failing party may be sued for a breach of contract. 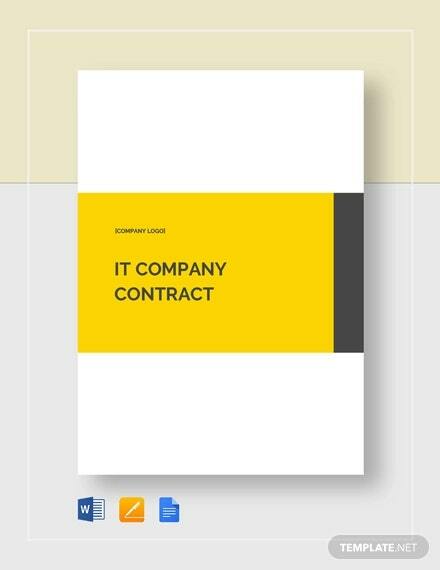 Owing to its importance, several company contract templates have been created to meet the demands. 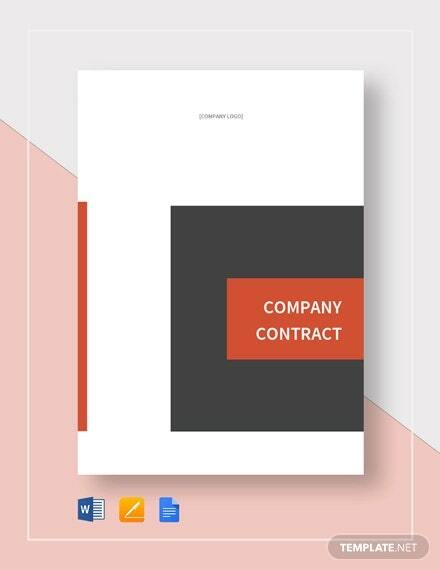 Templates like security company contract, ownership contract, and employment contract are among the samples that you can find below. 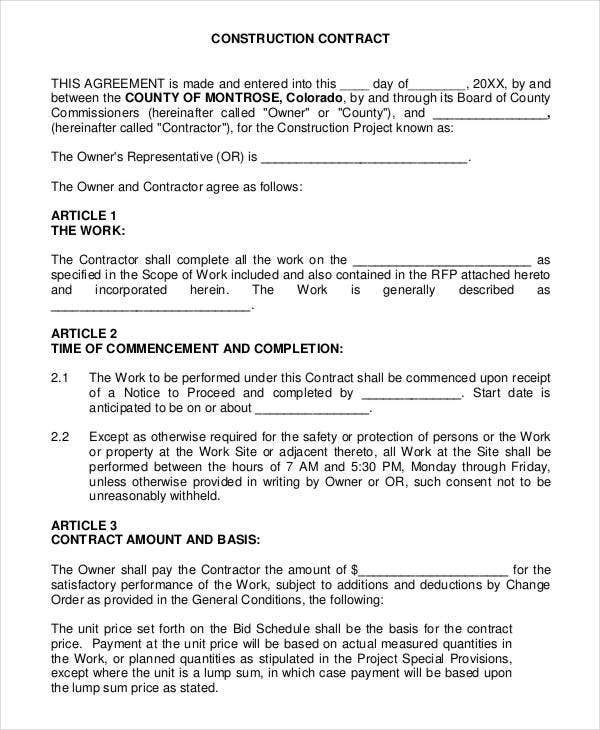 Just like construction contract basics, all templates are complete with all the essential elements. Scroll down to find out more. 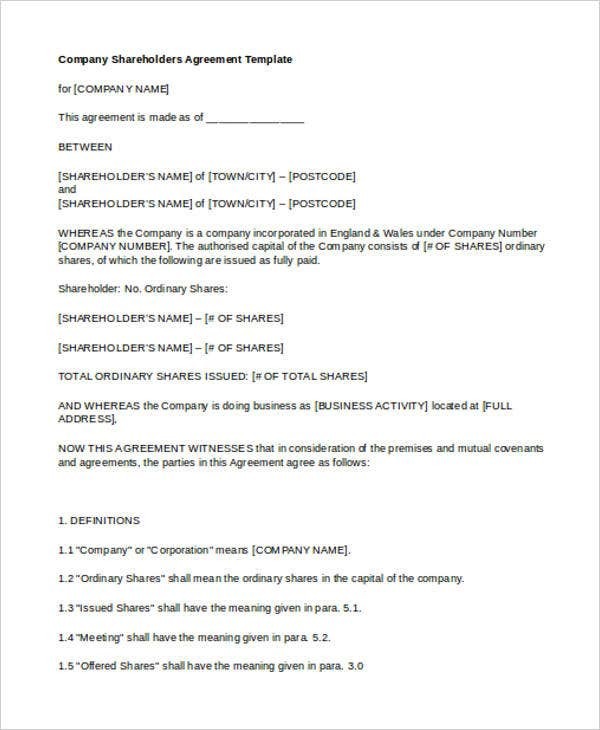 How to Write Company Business Contract? First, choose which contract template to follow for your draft. 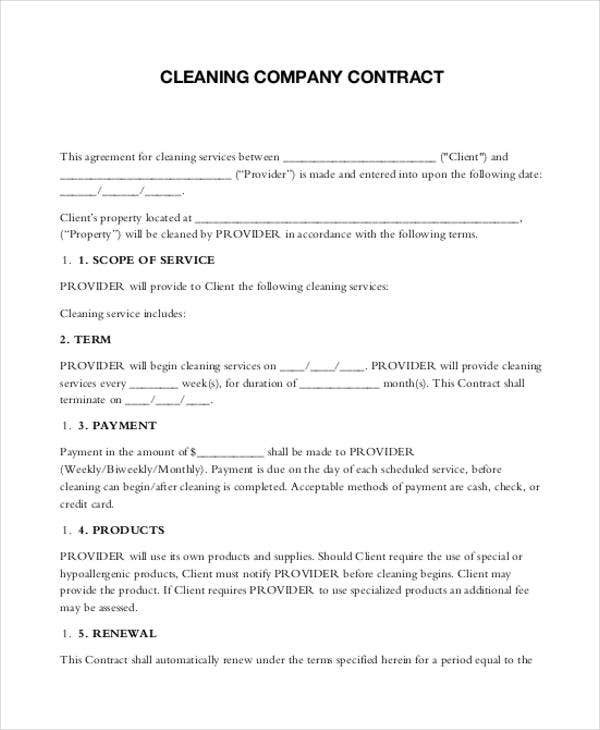 You may choose a simpler format should you wish your contract to be that way. Second, use simple language that both parties can understand easily. Third, put into writing all details that have been discussed and agreed upon by both parties, including but not limited to the amount of the transaction, terms and conditions, and other pertinent clauses. 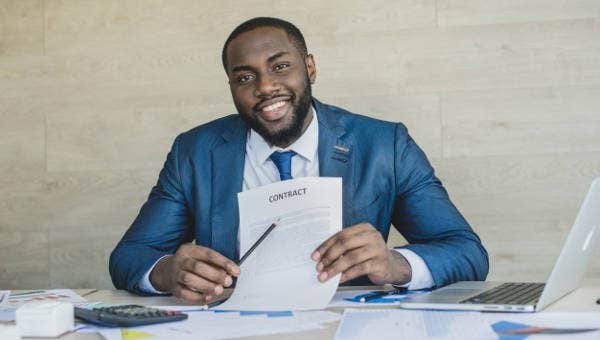 Forth, once you are done with your draft, you must seek approval from the other party as well as lawyers who are experts in business contracts. 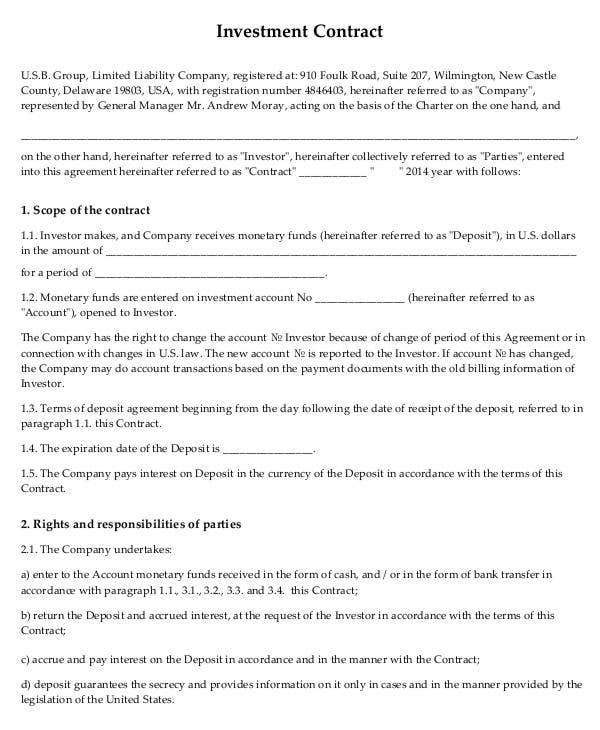 All essential elements must be contained within the contract including: both parties complete names, the amount of transaction (in figures and in words), and other terms and condition. 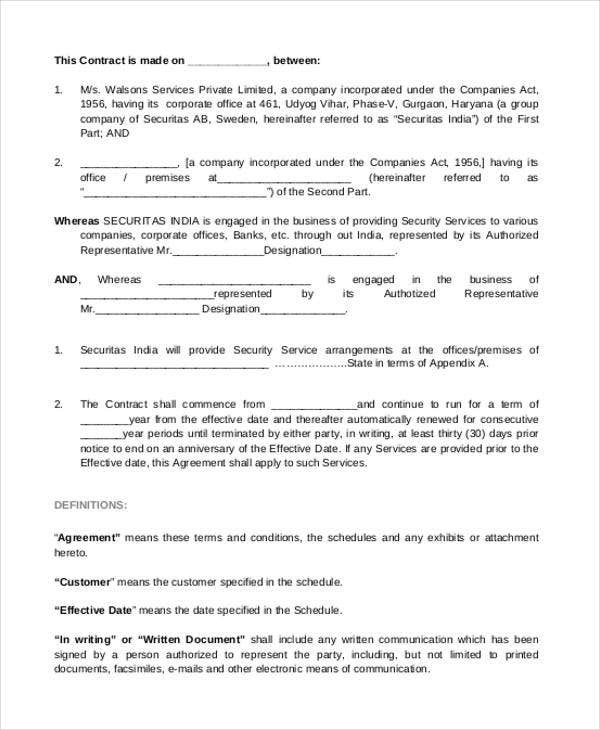 Check service contract templates for more details. 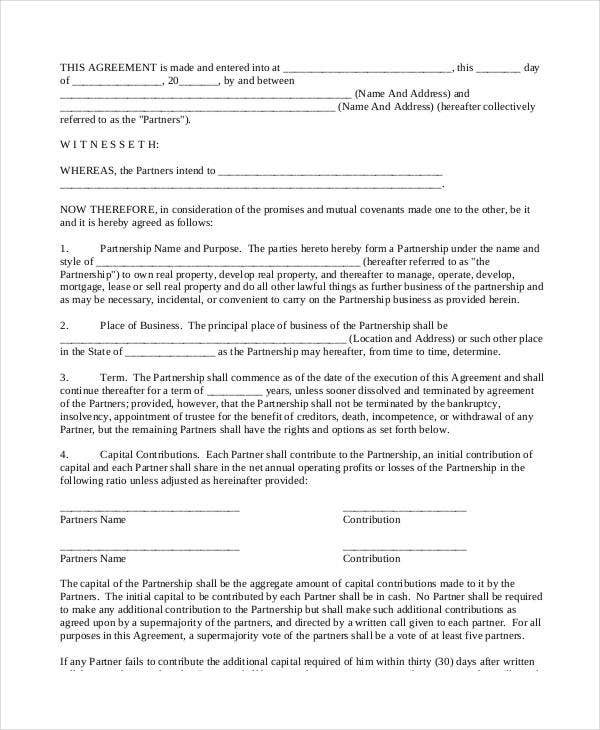 Each page must be signed by both parties to prove their acknowledgment for each clause. Authenticate and register the contract with the proper authorities within the prescribed period of time. The offer, which refers to the list of products to be delivered or the scope of services to be done by the fulfilling party. Acceptance, which pertains to the mutual agreement of both parties to undertake what has been agreed upon after thorough discussions. 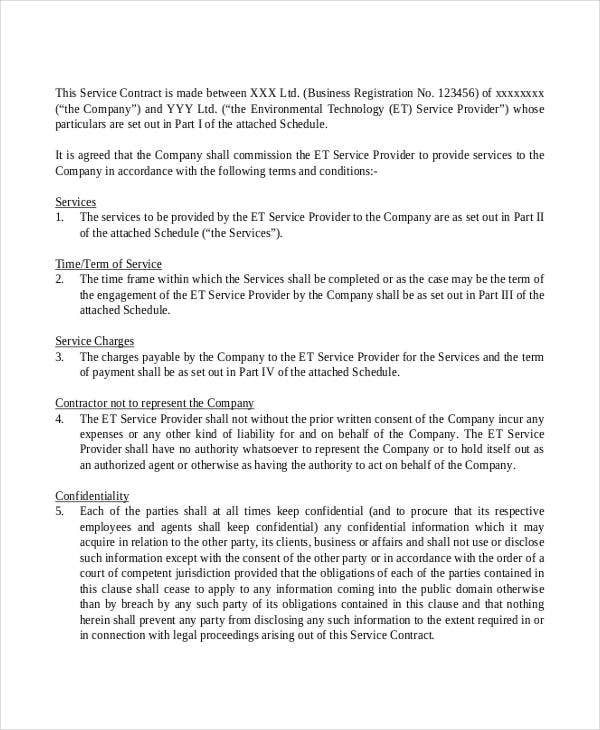 Terms and condition, which explains the dos and don’ts that must be observed by both parties otherwise the contract may become void or voidable. Cancellation and revocation clauses, which would reserve the right of both parties should one fail to perform what is mandated for him to do. Pertinent details about each party, such as their complete entity names, physical address, contact details, and names of representatives. These elements, when taken into consideration, will render the contract legal and valid. Each party would then be obligated to deliver the services or products as well as receive payment in the prescribed time.